Toptal Belgrade Team is organizing a Toptal community gathering on the 16th of April at Pivopija. Everyone is invited to join us, grab some good beer, talk about new technologies and freelancing with Toptal. This event will be a great chance to meet some members of our core team like Kenan Salihbegović and Dalila Zeljković from Community, our Director of Design Danielle Reid and our Lead Director of Engineering Anna Chiara Bellini. 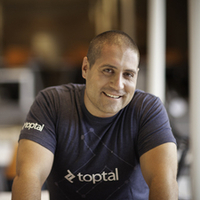 This event is open to anyone who is interested in Toptal. If you have any questions, contact Predrag Gajić and RSVP to give us a head count.